Semi skimmed sterilised milk drink with cocoa. Rich dark Taste. 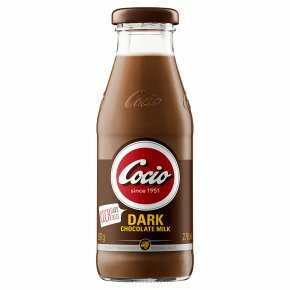 Quality ingredients, original taste.Our Cocio Dark Chocolate Milk contains 3 quality ingredients: milk, sugar and cocoa. And that's it. Remember, no additives so shake well to mix and serve ice cold.